Make Your Birthday Party in MN A Blast! Looking to host a birthday party in MN? Everyone has a birthday once a year and most people enjoy celebrating with a party. The age-old question is how and where to celebrate your birthday. 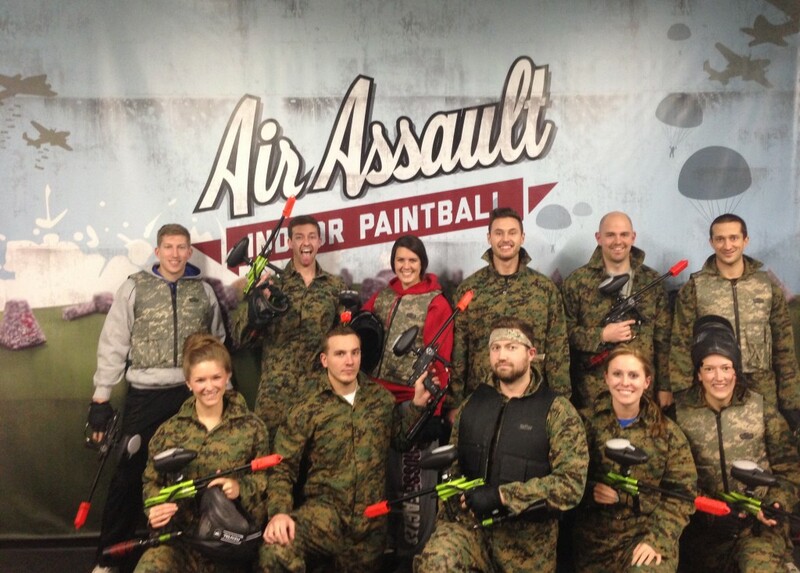 Air Assault Indoor Paintball in St. Paul has developed a great idea for a birthday party in MN. Play paintball for your get together at our indoor paintball park and let the extreme fun begin! Paintball is the ideal answer for any birthday party in MN. Parents can host the best birthday around Minnesota easily. Air Assault Paintball is the largest indoor paintball field in the Twin Cities to offer low impact paintball which provide 1/3 of the impact of a regular paintball. The paintball field is the biggest paintball field in MN. Check out birthday party packages and save money on your group. Parties are able to cater in food, pizza, drink and of course presents! Hosts also will teach players how to play and all of the safety rules ensure a safe and fun time. Referees are on the field of play at all times with paintball participants. Shoot at your friends and family from tanks, humvees and castle walls. Whether you divide up the participants in your group or mix in with a crowd players will have the chance to play multiple different kinds of games. A paintball game helps you to create feelings of teamwork and encourages bonding. You and your crews will swiftly formulate strategies and figure out how to attack or defend in combat. The safety products and equipment make sure that the fun keeps harmless and that no-one becomes hurt. Paintball is actually rated one of the safest sports to date. Players do have the option to play smaller paintball guns that shoot smaller and lighter paintballs that have less impact upon breaking. This new technology has everyone talking about how awesome a birthday party in MN can be. Parties have very little restrictions associated. Players may young or old. There are no time limits or restrictions. Groups may be small or large. Air Assault Paintball is sure to make your birthday party in MN the ultimate birthday party experience! No prior knowledge to paintball is required nor is personal gear. Wear baggy clothing and you are ready to go! No training is required, as teams will be briefed on how to play and how the equipment works. Every player can put their own technique and talent into the mix and try their luck at blasting paint balls around the arena. Air Assault Paintball is the best Two Cities paint ball facility. 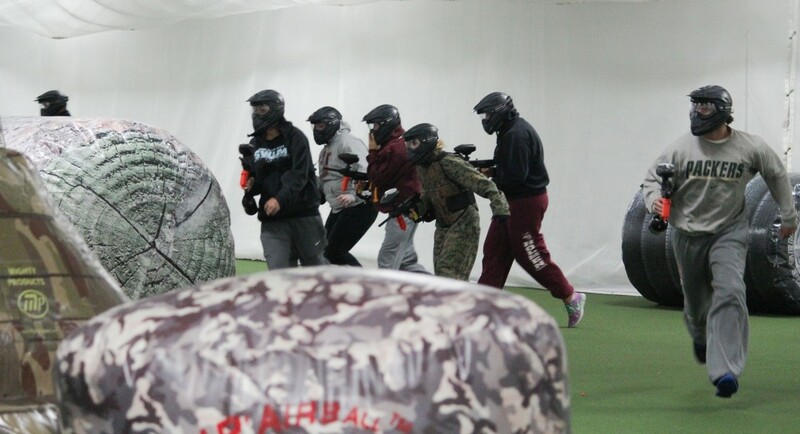 Schedule your birthday party in MN at the biggest indoor paintball field in the Midwest. Regardless if you are a newcomer or perhaps experienced expert it will be easy to take pleasure in our paintball center. Rent or bring your own paintball equipment, paintball guns, and paintball pads. Air Assault is your local paintball specialists with years of experience working on paintball gear and running groups. We have plenty of practice and possible itineraries in birthday parties, bachelor parties, bachelorette parties, corporate team building and youth group organizations. We can accommodate just about any private group request! Play paintball all year round inside! No minimums or time requirements. Call us with questions today at 651-222-0300 or schedule your event effortlessly online now.